In 2018, my portfolio has lost all its lustre as all the unrealized gains were wiped out in 2018. But there is no reason for me to panic as the dividends collected over the years provided some buffer for my portfolio to go into retreat, which is why I continued to stay vested. 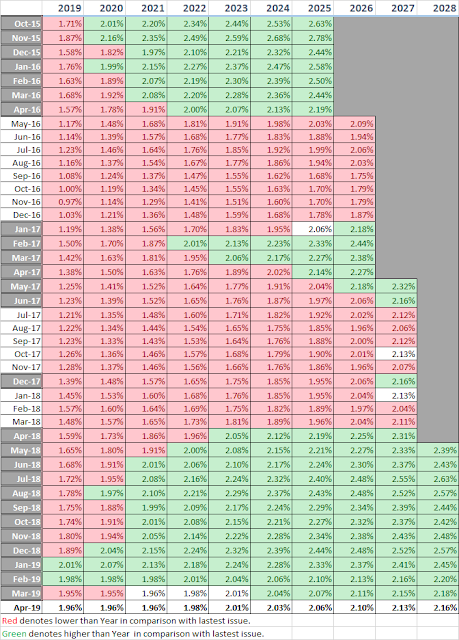 We are now half-way through the first month of 2019 and STI has rallied around 7%. Hopefully the rally will persist. I considered myself as an 'aggressive' investor with a conservative portfolio. I am prepare to just hold 10% in cash and invest the remaining into different assets. Since I am putting almost all my spare cash in, I chose to build a more diversify and conservative portfolio. This would mean compromising on returns by diversifying into assets with lower or even no return. Overall, I am still satisfy with my performance so far with around 4% return. Alot of bloggers I read are achieving returns above 7% by doing both investing and trading. Short-term trading is a good way to improve the returns of your portfolio but it is not something suitable for everybody. XIRR includes your dividends too ? Yes. I uses the Excel XIRR formula and dividends are tracked as withdrawal. thanks. Looks like you use same method as me. If you track your dividends as withdrawals, then your actual XIRR should be higher than 4.85%? Unless you cancel out your dividends with an almost immediate injection back into your stock / bond portfolio. Transactions including capital injection or selling are also inputs of the formula. I keep it simple by just looking at cashflow going into or out of my portfolio. Since the Total Portfolio Unrealized Gain/Loss is small compared to the Total Portfolio Value, does it mean the XIRR of 4.85% closely represents the Total Portfolio Dividend Yield at this point in time? You can also see it in that way since my returns are largely from dividends but XIRR also takes investment period into consideration. I can derive dividend yield directly from annual dividend collected over portfolio value so there is still a slight difference between the two.